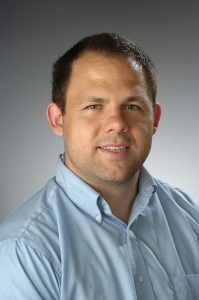 Assistant professor of public health, David Larsen, is the principal investigator for a trial comparing different spray strategies to control malaria vectors in Zambia, funded by the President’s Malaria Initiative for $75,115. He is also co-investigator for a trial comparing different health system strategies to eliminate the malaria parasite reservoir in humans in Zambia, funded by the Gates Foundation. In addition to these two trials David is working with Dr. Rick Welsh on the problem of mosquito net fishing, how it impacts livelihoods, food systems, and malaria control. Larsen holds a Ph.D and MPH from Tulane University’s School of Public Health and Tropical medicine. He is an environmental epidemiologist with expertise in large data analysis, multi-level modeling, spatial statistics, geographic information systems, and study design. His content expertise lies broadly in global health, with specific expertise in mosquito borne illnesses, health, and sanitation.